You can write perfect professional CVs and keep sending them to the companies you want to work for with appropriate verve. However, your efforts usually end with the company HR workers not selecting your CV and not inviting you to the next round of the recruitment procedure. What’s worse, they don’t even bother to reply to your messages. Unfortunately, the situation may be the same even if you get a step further and attend an interview. They never get in touch anymore. 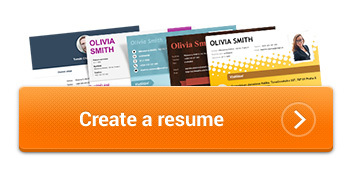 If you have not created your CV yet and are preparing to make one, have it comfortably generated here. Or find some inspiration in our article on How to Write a CV. As far as ignorance by the employer is concerned, it may be caused by several reasons. And in spite of the name of the article, it does not always mean that you have not been selected. For instance in this case. Paperwork is quite a disagreeable task and sometimes it’s really a sixty-four thousand dollar question to cope with the entire system without any problems. In such a case, it is no wonder that even the most responsible person misses something from time to time, overlooks something, mislays something somewhere. And believe me, this happens even in recruitment procedures. Especially if there are several tens of people applying for the job and wanting to work for the company. Therefore, don’t hesitate and remind the employer about you once or even multiple times. It is true that CVs of people in whom the company is interested usually don’t get lost. But as the saying goes, stuff happens. Don’t lose heart and get in touch. Not all HR workers are able to be fair. In some situations the employer ostentatiously ignores all your messages. It is just like that, even HR workers are only human. Each of us has his/her good and bad qualities. So it can easily happen that the position of the person who is in charge of new employee recruitment is really held by an ignorant person. To make a long story short, such a person does not take into account that he/she is, for instance, wasting your time or risking the reputation of the company he/she works for. In such a case, you can send two or three emails to the HR worker to notify him/her of the fact that you have not received an answer yet. A phone call could also be efficient because it can, in fact, force the HR worker to answer you immediately. However, consider carefully whether you really want to work for a company which lacks the decency to put its cards on the table. Hardly a week has passed since the time you sent CV form. In spite of this, you are under stress and think that you have not been selected. However, the reality may be totally different. First check the deadline for sending model CVs. Logically, they will not have selected anyone if they have not received all the CVs yet. Even if the deadline has expired, it is not necessary to draw tragic conclusions. Selection procedures, especially those concerning important positions or jobs where there are a lot of applicants, are frequently a difficult process, which requires some time. Moreover, sometimes the company does not immediately notify the non-selected applicants owing to strategic reasons. They hold such applicants in reserve in case the selected applicant refuses the job or fails soon after his/her commencement of the employment. Anyway, it is a good idea not to rest on your laurels and not to become too attached to just one company. Send and show your CV to other companies on a continuous basis. Otherwise, you could miss other, perhaps even better, opportunities during your waiting, which might prove to have been in vain.